It can be difficult to negotiate and plan space and resources in new teams and new buildings, especially when there are many different services and activities running at different times of the day. 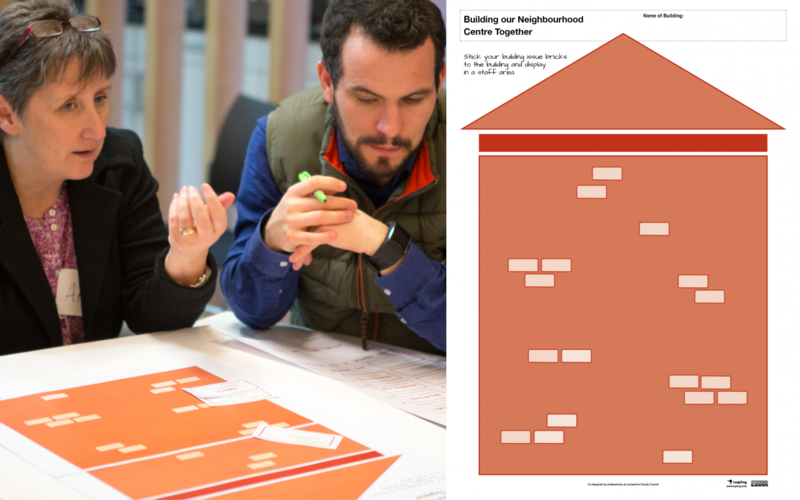 This tool helps by providing a process for teams to discuss and make plans for the best use of space and resources in a building they work in together. Use bricks as metaphors for building related issues, one at a time, and discuss them together to build a plan.